A group project by first year Fashion Photography students has been featured on the website Modeconnect. “The Essence of Fashion started as a project with my UCLan Fashion Styling and Photography 2nd year students last year, and I decided to create a ‘V2’ for my first year Fashion Photography students this year as a creative styling exercise and a time-pressured group task. As with the first ‘jelly’ project, I wanted to really think about what makes the ‘essence’ of a collection and how this could be translated into a sculpturable object. This time, the students had to create a piece within a 2 hour workshop after being given a designer’s collection the week before to research. All members of the group had to be involved, and bring an ‘ingredient’ to the workshop. 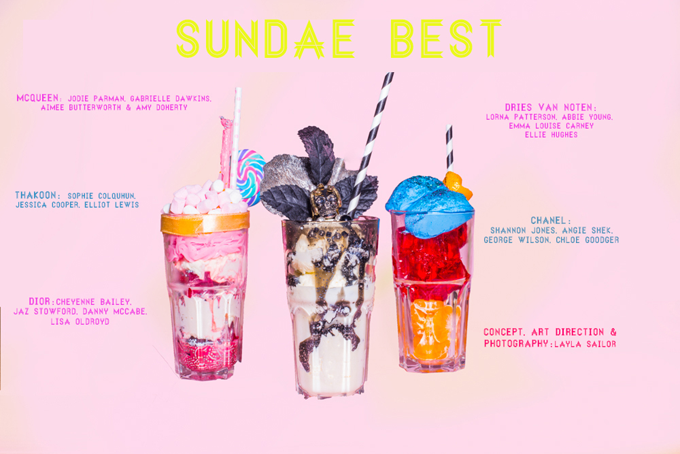 I decided on a Sundae for V2 as it is decorative, impermanent and difficult to control. 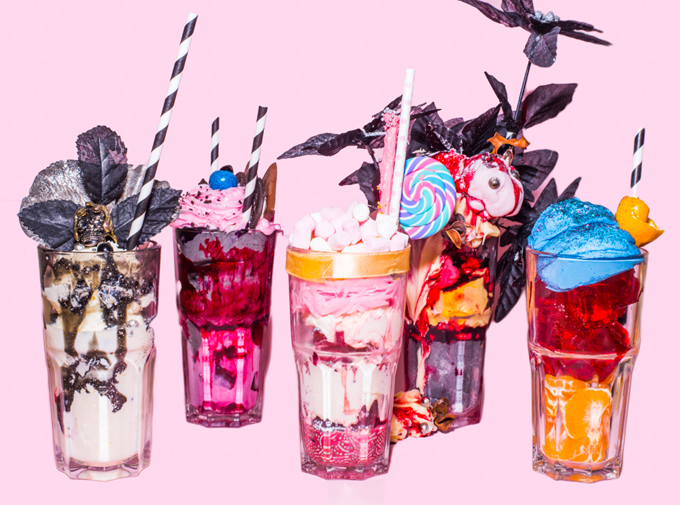 Sundae’s can also be layered, which was interesting with a very textured or colourful collection. As with the jelly project, the lack of control was fun, frustrating and surprisingly effective in bringing out students’ creativity and group delegation skills.